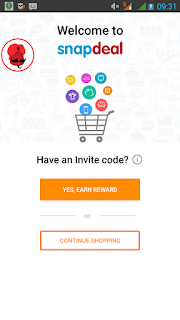 3.You will see "Have an Invite Code",Under this click on Yes,Earn Reward. 5.You will see Registration/Login screen. 6.Register their with your email and Number,verify your number with verification code. 7.BoooM,You can see Registration is successful,freecharge money will be credited within 24 hours. 8.You will get freecharge money instantly. 2.There you will see your refer code,share this with your friends. 3.When your friend will install snapdeal app,during registration enter your refer code then he/she will get Rs.100 Freecharge Balance instantly,And when he/she makes first purchase on snapdeal then you will get Rs.100 freecharge wallet balance. 4.Refer and Earn Program limit is 3 Refer per account. 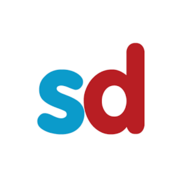 2.Make Back up of snapdeal app and save snapdeal.apk anywhere in sd card. 3.Save your refer code from your main snapdeal account. 5.Now Open Xposed Installer App, Goto Framework options and click on install/update. 6.Now wait until it installs its binaries and ask you to reboot your device,click on Ok button. 7.After completion of reboot, Open Xposed Installer again and goto modules, check (mark) infront of Xprivacy ,Root Cloak.Again go to framework and soft reboot your device. 8.Open Root Cloak app >> Add/Remove apps.Click on + icon find snapdeal app and click on that. 9.Open Xprivacy >> click on snapdeal App icon >> tick on phone & Identity >> Tick on shell(Also Under shell must tick on su and sh Both) >> Click on three doted line >> Setting >> Randomize Privacy Values >> Save.Go back and exit. 10.Open DeviceFaker,Grant superuser permission for it.Reboot your device so that core files can installed. 11.After Reboot Open DeviceFaker then click on fake.Now you device will turn in unrooted device. 12.Open Snapdeal App and sign up with new number and your main account refer code.You will get Rs.100 instantly in your freecharge account in this new account and When you make first purchase in this account then you will get Rs.100 in your main snapdeal-freecharge account. 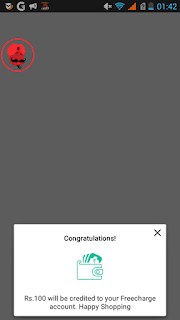 13.Again Uninstall snapdeal app and reinstall it from back up.Open xprivacy again click on Randomize privacy value,then save it and exit.Again open snapdeal app and register in it with new number and your main account refer code,Continue this step unlimited times. 1.You can refer upto 3 friends in one account,so after 3 refer in main account then refer with another account. 2.When you are going to reboot your device then never forgot to open Device faker and click on Restore. this trick is working on BS or not. put data connection off ,open the paytm app.click on wallet tab anywhere,put data connection on,now you will never get this error again. I can't buy anything from snapdeal for 100rs and dont want to recharge mobile using this cashback as i already have lot of recharge balance on mobile. Any chance to get this cash into bank account or to transfer this cash to another freecharge account. freecharge account is same as snapdeal account you can login with same details on freecharge.